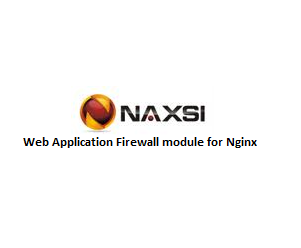 is an open source WAF ( Web Application Firewall ) , high performance, low rules maintenance, Web Application Firewall module for Nginx. Local & Remote file inclusions and such. redirected to a "forbidden" page. Yes, it works a bit like a spam system. The NAXSI Project is not so known like the ModSecurity open source project, but has a very interesting approach and features. NAXSI uses the small and performant reverse proxy engine of Nginx web server instead of the full blown Apache engine used by ModSecurity (and from a security point of view: the lesser code). Now we can browse to www.scip.ch and be sure that our test NAXSI WAF will inspect the content and remember that by now the configuration is in learning mode; it will only report errors in the nginx error logs (/var/log/nginx/error.log) and not block any bad scored request. MainRule "str:<" "msg:html open tag" "mz:ARGS|URL|BODY|$HEADERS_VAR:Cookie"
MainRule "str:&#" "msg: utf7/8 encoding" "mz:ARGS|BODY|URL|$HEADERS_VAR:Cookie"
MainRule "rx:.ph*|.asp*" "msg:asp/php file upload!" "mz:FILE_EXT"
LearningMode – activates learning mode; in this mode requests aren’t blocked and white lists may be created. SecRulesEnabled or SecRulesDisabled – to activate or disable NAXSI for this location/section. DeniedURL – redirect URL for blocked requests; can be an HTTP error code (like 4xx or 5xx) or forward to an HTML site with code to help track false-positives. CheckRule – per-category check scores; the score we saw above will be evaluated here. If a request hits a score in the naxsi.core.rules, this score will be recorded and added to each category (SQL, XSS, EVADE, ...) if the overall score for any of the categories is reached (8 in SQL per default) the input is treated as bad. # Whitelist ',' on URL zone as it's massively used for URL rewritting ! The entry above will result in disabling some part of the check rule in naxsi_core.rules allowing a specific behavior and eliminate false-positives. BasicRule could be more or less specific at your pace (and security needs). request: "GET /testmiztot HTTP/1.1", host: "x.y.z.52"
This rule will trigger whenever the testmiztot string is detected in the address part (mz:URL) of the HTTP GET request and score as 42 (s:$SQL:42) in the SQL category. This will be evaluated as bad because the SQL category limit is 8. The msg: text will be shown in the learning mode log used to generate the white-list baseline. LearningMode - Training Mode is enabled. Requests are not blocked, White-shaped leaf. SecRulesEnabled - NAXSI enabled for this location. If you want to switch off for another location (for example, a protected inner zone), then do it SecRulesDisabled. DeniedURL - URL redirect for the denied requests. CheckRule - checking the "penalty points" query by category. / Etc / nginx / mynaxsi.rules - generated rules (not yet gener - commented out). Feature: added support for FILE_EXT. We can now control file uploads names/extensions as well.